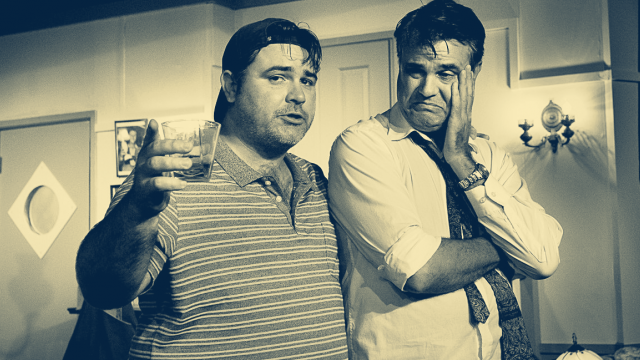 Neil Simon’s ever popular comedy The Odd Couple makes a welcome appearance for Tugun’s first offering of the season. 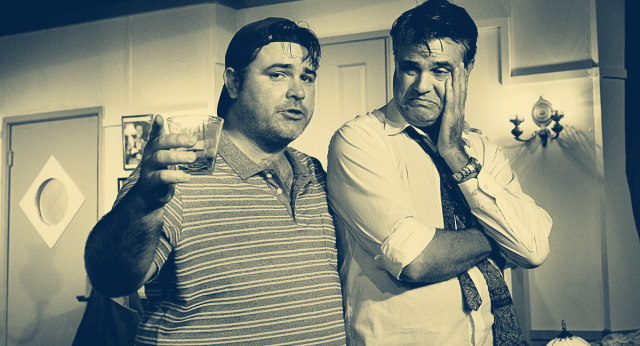 This timeless script comes to life in the hands of the multi-talented Tracey Kriz and her all- star cast of well-known Gold Coast performers: Oscar, Dave Fraser; Felix, Chris Hawkins; Speed, Ian Lake; Murray, Rory Impellizzeri; Roy, Grant Ebbling and Vinnie, Graeme Stuckings. As the upstairs neighbours - the Pigeon sisters Gwen, Gai Byrne and Cecily, Pamela Payne, give a (much needed) breath of fresh air to the guys’ weekly poker games. Tugun’s wide stage meant there was plenty of room for Oscar and Felix to argue and chase and throw. Both Chris and Dave delivered beautifully crafted performances, ably supported by their card playing buddies. The Odd Couple has and enduring television series, a movie and a role reversal version where all the parts are swapped and still it stands the test of time. A great opening to Tugun’s 2019 season.